Makes getting in and out of the bathtub safe and simple. 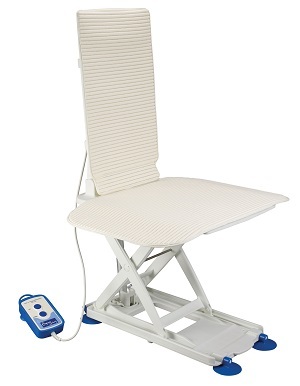 Heavy duty seat and base provides maximum stability and support. Fully waterproof, floating battery hand control with easy-to-use convex and concave operating buttons.